San Diego Comic-Con 2018 is in full swing, and that means a whole host of news for fans of animation. Luckily for those who can't be there, much of this finds its way online, and we've rounded up some of the biggest stories to come out of the event so far. 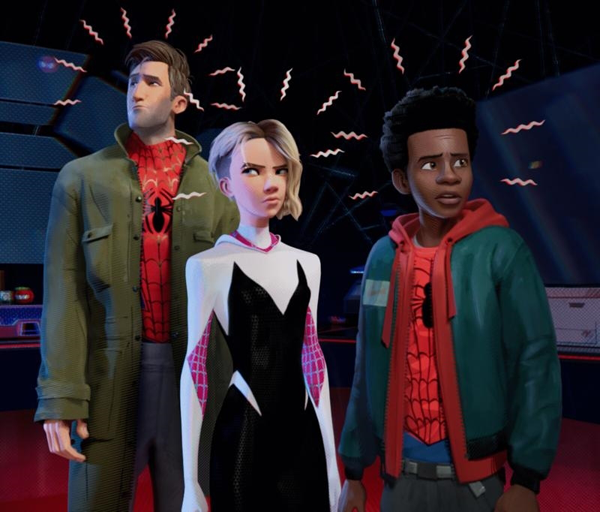 Sony released a new image from Spider-Man Into The Spider-Verse, featuring Miles Morales, Peter Parker and Gwen Stacey (above). Check out the highlights from the panel, below. A new trailer was released for Voltron Legendary Defender's seventh season, coming to Netflix on August 10. It was also confirmed that the eight season would debut later this year and will bring the series to an end. After reduced season lengths for the past few series, seasons seven and eight will return to the original 13 episode format. Funimation revealed a dubbed trailer for the new movie Dragon Ball Super: Broly. The film will open in cinemas in the US and Canada in January 2019. Funimation will also release the first big screen outing for the My Hero Academia franchise, My Hero Academia: Two Heroes in more than 400 screens across the US and Canada this September. DC released a sneak-peak of Young Justice: Outsiders, the new season of the show that will come to new streaming service DC Universe. Nickelodeon have released a clip from the much-anticipated TV Movie Invader ZIM: Enter the Florpus.